Believe it or not, I am skeptical of many fashion trends. Socks with heels, peep-toed shoes with tights, and mix –n-match prints concern me. 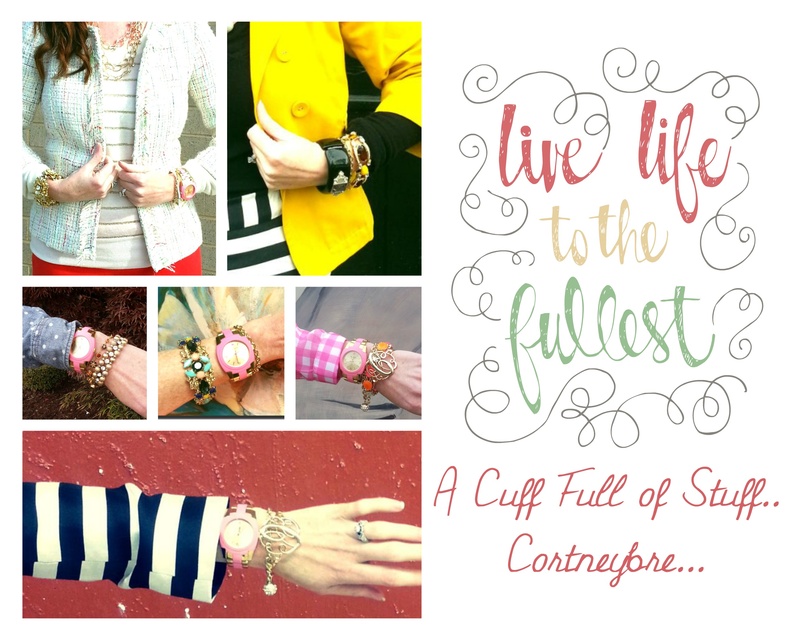 However, I am digging a trend I like to call, a “Cuff Full Of Stuff”! To pull off the “CFOS”, one need only to pile on multiple bangles and bracelets paired with an oversize watch. The more dangles and baubles, the better! You can mix and match tones if you like, pairing silver with gold or bronze or staying monochromatic. I also like to work in pearls whenever possible. Throw in a friendship bracelet or statement bangle to add some pizzazz. « Holiday Dresses at Tradesy – A Friday Favorite!